While completing his Masters of Science at the University of Western Ontario in Canada, Brock Laschowski worked alongside the Canadian Sport Institute Ontario and Rowing Canada Aviron to study how the mechanical properties of different oar shafts effect rowing biomechanics. This research was conducted under the supervision of Dr. Volker Nolte, and was partially funded by the Natural Sciences and Engineering Research Council of Canada. Laschowski and Nolte recently published their findings in some of the leading sports engineering journals. These novel investigations involved both experimental [link] and model-based [link] approaches. Notably, their on-water experiments involved National and World Champion Rowers. Nolte is currently working at the Rio Olympics with Team Canada, while Laschowski eagerly watches the fruits of his labor from afar. First prize was awarded to Davide Zampiere from University of Padova for his project on ‘Fabrication and mechanical testing of auxetic foam for sport safety applications’. Second prize was awarded to Brock Laschowski from University of Western Ontario for his project on ‘The effects of oar-shaft stiffness and length of rowing biomechanics’. Congratulations to both Davide and Brock! The judges were very impressed with the quality of all the projects we received this year; they were a great reflection of the high standard of sports engineering work undertaken by our members at the moment. Thank you to all applicants. The 11th conference of the International Sports Engineering Association will take place in Delft from 11-14 July, 2016. The conference program provides the conferees the opportunity to learn from inspiring keynote speakers via lectures, parallel sessions, poster presentations and networking sessions. Abstracts should briefly outline the main research question(s), research method, results and conclusions as well as their general significance. References might be added. Upon review of the abstracts, notification of acceptance will be made by December 1st, 2015 (complete papers due February 1st, 2016). The abstract should be written in English following the ISEA2016 template which can be found here. 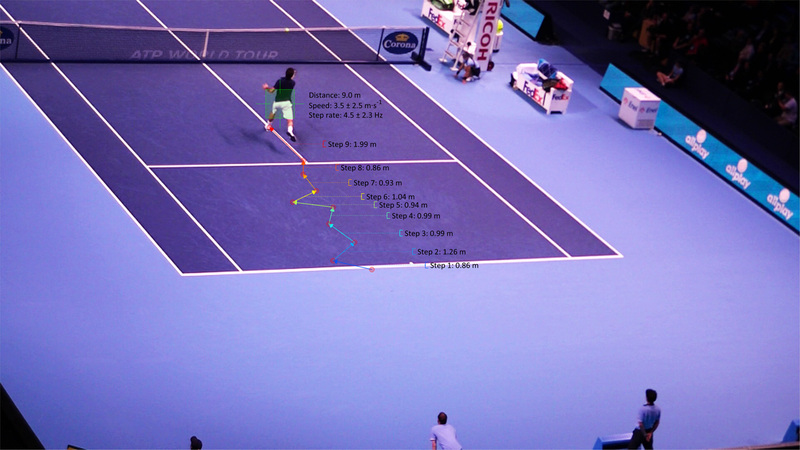 September 15, 2014 marks the opening for entries to a new Sports Technology Design award. The competition, which is the brainchild of the Sports Technology Awards and is being supported by Sport England, is hoping to unearth a design that gets more young people, women or disabled people doing sport. Entries for the award are encouraged from UK-based individuals, academic institutions and SMEs with the winner receiving a £10,000 bursary to help them further develop their product. Submissions are via the Sports Technology Awards website (www.sportstechnologyawards.com) and are open until 30 November 2014. The shortlist will be announced in late January 2015 with the successful entry being revealed at the awards ceremony on 27 March in Central London. For more information about the challenge please email yasmin@ensltd.com or if you would like to know more about the awards, please visit www.sportstechnologyawards.com. 1. To enter the Sport England Sports Technology Design Challenge, access and complete the entry form. Only fully completed entry forms will be accepted. 2. Entries are limited to 1500 words and 5 attachments. Entries exceeding the word limit will be automatically marked down by the judges. 3. Entries must be submitted online via the Sports Technology Awards website. 4. Please provide contact details of a representative who can answer any enquiries on the entry form. 5. All entries must be submitted by November 30th 2014. 6. The competition is open to UK based entrants. 7. Entries will be accepted by those who have a new concept, product or service that will facilitate an increase of participation in sport, especially for women, young people or disabled people. 8. The project can be at any stage of development – from inception of the idea to the distribution of product. 10. Entry is open to enterprises of all sizes as well as individuals. 11. The winner will be awarded a grant of £10,000 (excl VAT) and will be required to enter into a funding agreement with Sport England. 1. The entry form represents the full and entire official entry. Attempts to influence the judges further by any means outside, or in addition to, the official entry may result in disqualification. 2. On receipt of an entry, the awards administrators will confirm its arrival via email. If a receipt is not received within three days, it is the responsibility of the entrant to contact the administrators to confirm its arrival. Unless written or verbal confirmation has been received, the arrival of any entry cannot be guaranteed. 3. Entrants will be shortlisted, and then published on the Sports Technology Awards and Sport England websites in January 2015. 4. The final decision will be at the sole discretion of Sport England. 5. The winner will be announced during the Sport Technology Awards on 27th March 2015. 6. All entrants reaching the provisional shortlist will be contacted upon announcement to discuss their attendance. Entrants unable to commit to attendance at the awards ceremony may not be included in the final shortlist. 7. Details of the shortlisted entries will be published, including entry profiles using the information taken from the entry form. The names of the enterprises/individuals that are not shortlisted will not be revealed. Any personal expenditure including rent, salaries, food, bursary’s etc. 9. The grant recipient must be able to provide evidence of all spending to ensure no misuse. 10. The grant can be paid either in advance as one payment or split between two six-monthly payments. 11. The investment from Sport England must be recognised using the Sport England Sports Technology Design Challenge logo. It’s been announced that the 11th conference of the International Sports Engineering Association will take place in Delft from 11th up to 14th of July 2016 at TU Delft. Please visit the website for further information. Professor Sadayuki Ujihashi was acknowledged as the newest ISEA Fellow at the Engineering of Sport conference dinner on Thursday 17 July 2014.